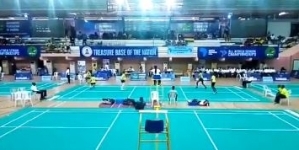 Nigeria’s quest to take part in the badminton event of the 2020 Olympics got a boost today as sports kits and equipment company, Dominion Total Sports Ventures donated kits and equipment to the national team. 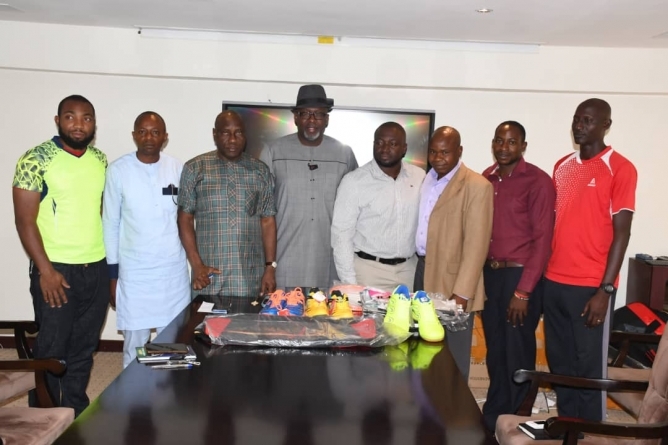 The presentation which took place in Abuja saw the representative of the Dominion Total Sports Ventures Tolu Agboola giving out the kits to the President of the Badminton Federation of Nigeria (BFN), Francis Orbih and his board members. 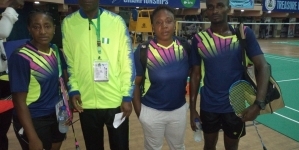 “The leadership of BFN has given us the opportunity to contribute our quota to the development of badminton in Nigeria. We have given these kits and sports playing equipment to the Federation in support of the federation for taking badminton to the next level. 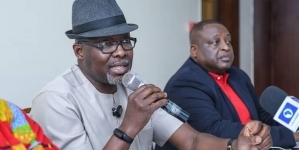 “We have seen the enormous efforts they have put in in the two years since they came on board and we- Dominion Total Sports Ventures – have decided to support the federation to the highest level. If given the opportunity we want to do more. I would like to encourage the players through the captain of the national team to do their best at all times in other to make Nigeria proud”, Agboola stated. An elated Orbih was full of appreciation to the donor and expressed belief that the laudable gesture would inspire and propel the national team in their preparations for the Tokyo 2020 Olympics. 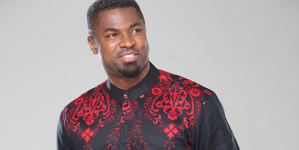 “Dominion Total Sports Ventures has come to partner with us in an important area. These gestures will help our national teams in their preparations to garner ranking points from the numerous tournaments they would be playing this year starting with the Port Harcourt championship. We say a big thank you to Dominion Total Sports Ventures,” Orbih noted.